I keep meaning to post this up and forgetting – it’s a feedback email from Hannah, who was one of the winners of the StriVectin giveaway held earlier this year. I like reader feedback from giveaways – I think it’s very valuable for many reasons, but mostly because that person has been chosen at random and it’s very unlikely that they’re going to give me a biased opinion on a product. Unless by some weird and wonderful coincidence that person happens to work for the brand, but I think that it would have to be a huge coincidence considering the number of people who enter the giveaways! So here’s Hannah’s feedback on the StriVectin EV system – if you want more information on it then have a look at my initial post here. FeelUnique sell StriVectin with free delivery, or you can get it at Selfridges and high-end department stores. 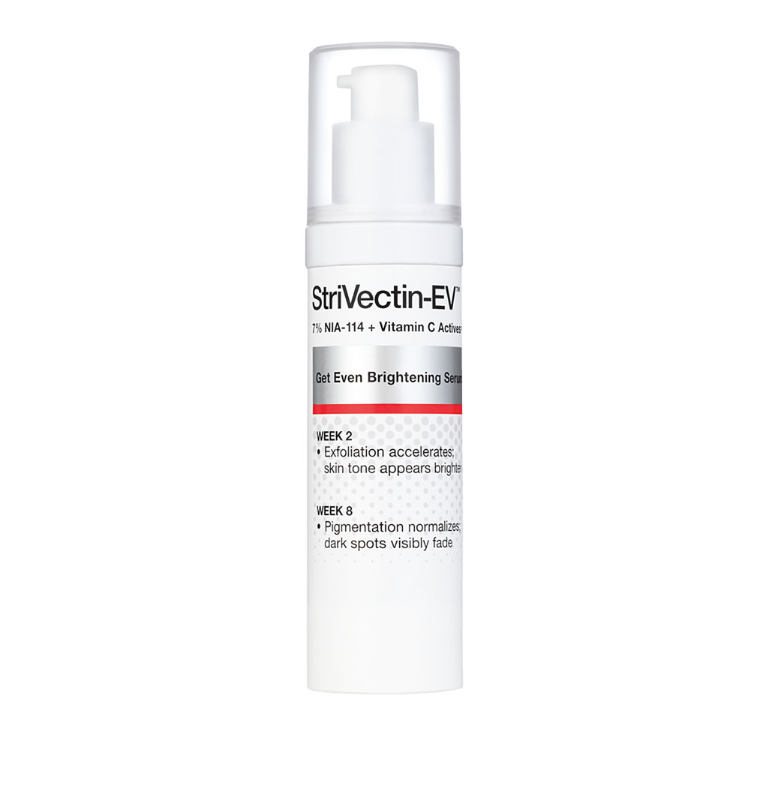 I’ve been using StriVectin-EV Get Even Bightening Serum for eight weeks now – the time the bottle says it takes to ‘notice’ a difference in pigmentation and dark spots. And I must say I am impressed. I am a fairly young female, originally from Australia, with pigmentation scaring from acne and illness as well as a bit of sun damage. My skin was pretty awful before, nothing a good foundation couldn’t cover but I wouldn’t go out without my war paint. I’m so much more comfortable with this now, I would say I have seen about 40% pigmentation decrease. Which I think is pretty amazing really. I have fair skin, but with an olive colouring (if that makes sense at all?) and it is also very sensitive. I have had a few dry patches on my forehead, but nothing at all extreme and I just tone done the use a little. It says to use it morning and night but I mostly use it just once at night like I would with Alpha-H’s Liquid Gold. I wouldn’t say it has the same brightening effect of the Liquid Gold but for pigmentation the StrivVectin-EV is brilliant. I didn’t see major results though until about late week six/seven though so I would say you have to be patient and use it religiously. And as I am in Aus again at the moment I have been wearing sunscreen 30+ everyday (you can get burnt just driving to the supermarket 10 mins away haha) as it does mention that this product can make your skin more sensitive to burning. Which would of course make pigmentation worse. I’ve done a course of microdermabrasion before as well, and I would say the results are just as good, though take longer to achieve. The price for the StrivVectin-EV is about the price of 1 micro treatment so it is also cheaper, as you really need 6/8 micro treatments for good results. Thanks again for the amazing product, and for the brilliant blog! (Haha – I had to leave the “brilliant blog” bit in, I couldn’t resist!) Thanks Hannah – and if anyone else has received a product in a giveaway that they’d like to send a review in for, then you’ll have my email from when I contacted you about the prize. Clue: it’s contact and then the name of this site! Previous Post Model Diets, Breakfasts and Orange Juice. Next Post Pinch, Punch, First of the Month and my Reverse Brazilian.